Welcome to the Bowling Challenge Tournaments game show your best bowling trough skills and beat the bowling alleys. We provide you the best bowling 3d strike controls and best bowling sports games environments. Flick forward with your finger to throw the ball and knock down the pins. Bowl more strikes and become the super bowling king. Swipe across the screen to add spin to the ball. Beat your friends and opponents to become the bowling star! Take challenges to unlock new board skins. Improve your skills and become the master of the board. Test your bowling skills in the NO 1 bowling game. Quick, Intuitive control system - Add spin with a flick of your finger! Play head to head against friends. Keep in good shape with daily tournaments. Get pick your prize from a big pool with a slot-machine. Enjoy the game graphics and beautiful environments. Real 3D physics engine and accurate pin physics and instant slow motion replays of great shots. 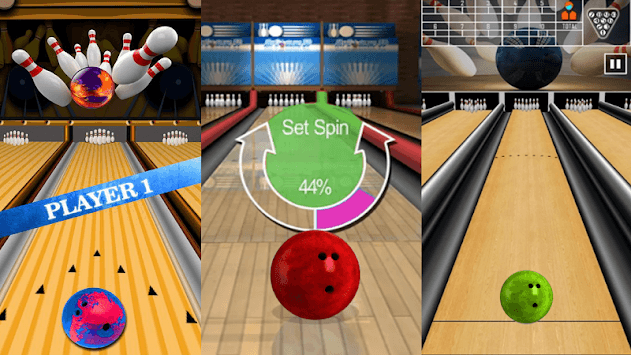 Throw the ball like a pro with the best bowling control game on the android store. Drag the ball to the left or right to position the ball for your throw. Flick the ball with your finger to bowl. Gesture a curve on the screen to throw a hook ball. Controls that are easy to grasp, but challenging to master. Slide the screen to throw the bowling ball! Control the bowling move direction by tilting the phone! Try your best to knock down the bowling pins as many as you can! Spare and strike can help you make a higher score! Play with your friends: Bowl together with your friends anytime anywhere! Challenge Mode: Clear a variety of stages and take rewards for free! Different skins for the balls. Select your favorite ball will for throw. Upgrade your ball with over multiple cool designs to choose from. Super realistic physics, we'll tell you again. You'll think they're real bowling! 11 frames and 2 round in each environment!! Split Balls, Bomb Balls, and more! Drag the ball to the left or right to position the ball for your throw. The whole new bowling's rule, play one game at one minute! Bowl more strikes and become the bowling master. Are you a bowling enthusiast? Do you like bowling games? If your answer is yes! Then come and play this interesting sports game and most realistic bowling games now! Be the world's best player in 3D bowling game. 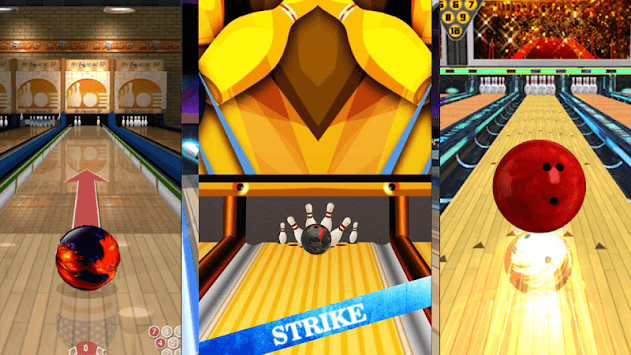 Score and strikes in this beautiful real bowling 3d free game. Play the best bowl rolling game in stunning stylized Graphics, thrilling environment and impressive sound effects. Be a king in bowling and give 5 star to the game like bowling best king game. It's a very exciting bowling championship game and test your bowling skills. Try to high score and win the bowling tournament. 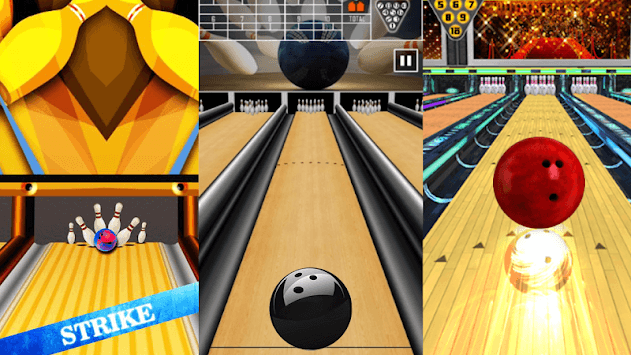 Enjoy the game latest features and become the bowling player in this game.